With approximately 17,000 islands & 300 ethnic groups spreading over 5000 km across the equator, Indonesia is the largest archipelago as well as the most diverse country in the world. Each island is unique and different with regard to the character of the land, the people, language, culture and of course culinary tradition & history. For decades Indonesian culinary has been strongly influenced by many traders and travellers: Indian, Chinese, Arab and later European adventurers: Portuguese, Spanish, English and Dutch who sailed across the ocean to search for spices which grew nowhere else in the world and found only in Indonesia, such as Nutmeg. 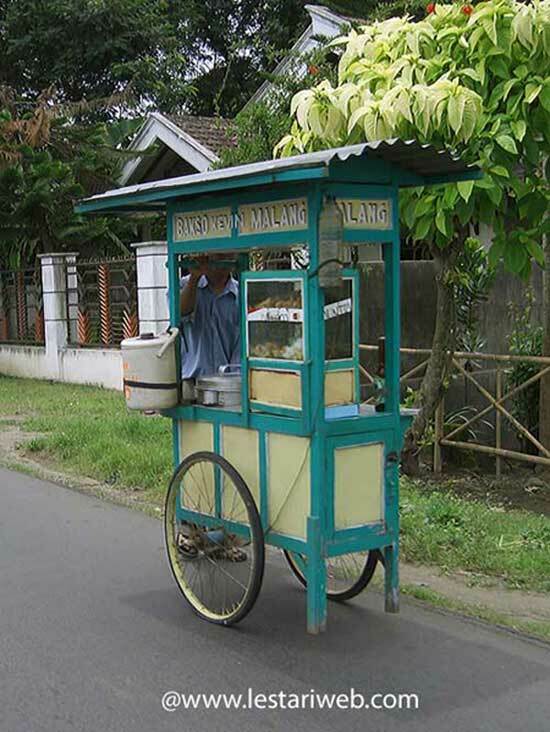 Some of this countries have brought & invented culinary influences that mark Indonesia's culinary today. 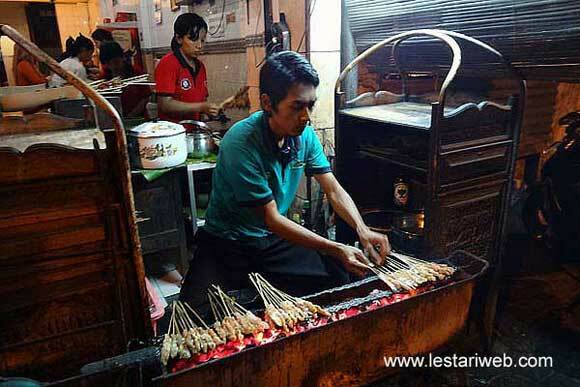 Despite of great diversity, there is common pattern in Indonesia's foods and eating-ways. Rice is the basic staple for most Indonesian people with exceptions in Ambon and Irian Jaya, where people are eating sagu, the coarse flour, which is made from the pith of the sago palm or sweet potato. The majority of Indonesia's population is Muslim, so they don't eat pork. On the other hand, pork dishes can be found easily in a strongly Hinduism community in Bali island or Christians community region like North Sumatra or North Sulawesi. Indonesia has a rich variety of spices and the magic secret of Indonesian cuisine is the use of fresh aromatic seasonings, using the fresh ingredients and fresh spices. It means fresh meat, fresh vegetable, fresh rhizomes, fresh leaves, freshly cooked be served right away. The fresh spices are mostly made into a paste, then mixed with the other seasonings and added to the cooking liquid, the most popular is coconut milk. Basically, each of Indonesia's ethnic groups has its own combinations of spices, intensities and tastes with various tendencies: spicy, hot, sweet or sweet and sour. For example Minangkabau people in Sumatra are fond of spicy dishes, while Javanese in Java island like to eat their food little bit sweet. Today in a modern society, where people insist on practicality and efficiency, almost all spices can be found in supermarkets as a dry powder or instant seasoning, especially in western countries. Of course using them is not a sin but if you want to enjoy the tasty Indonesian food in a way we do, that instant shortcut will never do. This simple, authentic Indonesian recipe site is just a little tribute to my beloved country, an effort to preserve as well as to promote its culinary tradition & heritage. I have always wanted to introduce you the world of Indonesian culinary, regionally specialties, techniques and our cooking tips. The fact that I am only a novice, this site is of course far away from being perfect. In fact by preparing this site I am also learning by doing. It is a learning process which never stops. Some recipes I have learned from my family in my childhood times, some from colleagues, friends and many cookbooks I have collected. For your info, each recipe which is described here is not an absolute reference. Ingredients could be slightly vary to regions and customs. However, I have tried my best to present it's originality, something I believed it should be done that way. Last but not least I wish you Happy Surfing... Happy Cooking and Enjoy your Indonesian Foods.